These official seal hologram overlays will add an additional layer of security to your photo ID cards. They look great and make your cards much harder to copy. 10 per pack. For the full range of high quality photo ID card supplies and more be sure to explore the site. 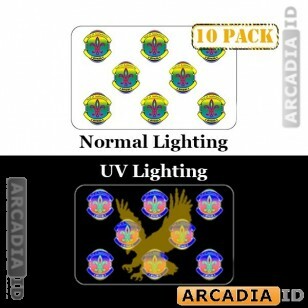 You can always depend on ArcadiaID for the very best prices and quality.